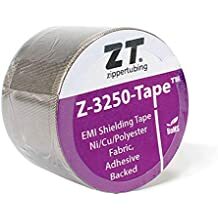 Srfg 32 - Coated Fabrics - Jacketing - Materials - ZT | Zippertubing Co.
SRFG-32 is a heavy weight (.032" thick) Silicone coated fiberglass fabric that offers outstanding flexibility, good abrasion and fluid resistance as well as high and low temperature characteristics. 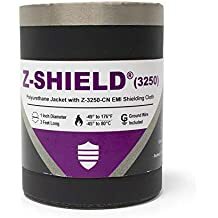 This jacketing product is ideal for under hood applications in trucks, busses and automotive racing industries where thermal protection and abrasion resistance are required. The dark color of this silicone material adds the benefit of being non-reflective, making it ideal for military vehicles. SRFG-32 can be configured for round, flat and rectangular cables or into many customized shapes and sizes. The material is flame retardant and has an operational temperature range of -55 to 232°C.